If suddenly your trip is postponed or rescheduled, the ticket on the train is always possible to return. Only don't delay too long. The sooner you do, the greater the percentage returned to you cash. Return the ticket at the railway ticket office, you can at any time. But to get back the full amount of the fare, unfortunately, will not work. You deduct a service fee, which is about 150 rubles. It is better to return the ticket at least 8 hours before the departure of the train. Then you will be refunded the full price minus 150 rubles for the service. If before departure remains from 2 to 8 hours, you'll get about half the price. If you have less than 2 hours - it will be a third of the cost of the travel document. If you missed the train entirely, the ticket is also possible to pass, and you will be returned a small portion of the amount. But it can be done only at the departure station. In order the ticket is received back, you need to show the cashier ID under which it was purchased. The ticket have to take back at any branch of the Railways involved in selling tickets, regardless of place of purchase. To refund the electronic tickets there are several different procedure. 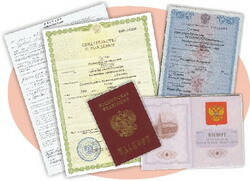 Since these travel documents were issued by you via the Internet, then first you need to unregister the ticketand on the website. This can be done yourself or by contacting the cashier Railways. Please note that to take the ticket it is necessary not later than hour before departure of traina, otherwise the money will not be returned. If the electronic ticket that you have earned at the box office, the procedure for its return is the same as the regular ticket. Money for a travel document will be transferred to your Bank Karoo during the month. To return the ticket that was not used in the result of an accident or illness may within five days after the departure of the train. In this case you will be refunded about 50 % of the cost of the travel document.